We have teamed up with power2give/PugetSound presented by ArtsFund to raise funds to replace our breaking and outdated assistive listening system and devices. Your donation to our Power2Give campaign will be MATCHED by an anonymous donor and help us purchase a system that will transform ArtsWest for the better! First, these devices will ensure that ArtsWest is a welcoming place for ALL. This system will help us ensure that anyone who would benefit from an assisted listening device will have access to one. We hope this sends a clear message to the public that everyone is welcome at ArtsWest regardless of hearing impairment. 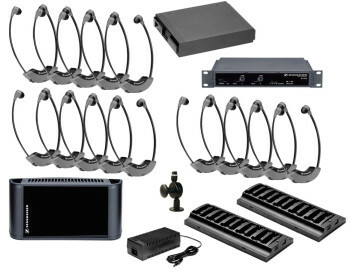 Second, these devices will mean a better experience for our hearing impaired patrons. 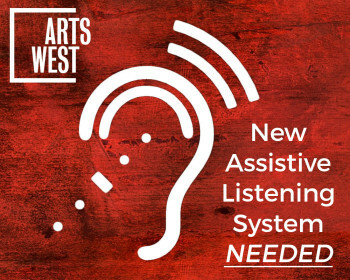 Access to assistive listening devices (ALDs) could make the difference between a subpar experience at ArtsWest or a magnificent one. These devices will guarantee that every patron is able to hear our productions the way they are meant to be heard by our creative teams — through high-quality, dependable audio. Lastly, installing of this system will ensure that ArtsWest is compliant with ADA guidelines for years to come. The Americans with Disabilities Act (ADA) stipulates that assisted listening devices are to be provided in public places like ours. In fact, revised ADA Guidelines to be released in the future are expected to increase standards for performance of assisted listening systems. Your support ensures ArtsWest will be compliant for the long term as this system is state-of-the-art and will likely be in use for the next ten years. Don’t wait– help us reach our goal and donate to our power2give campaign now! This entry was posted on Monday, August 31st, 2015 at 10:43 am	and is filed under Support.